OLD PARKED CARS. 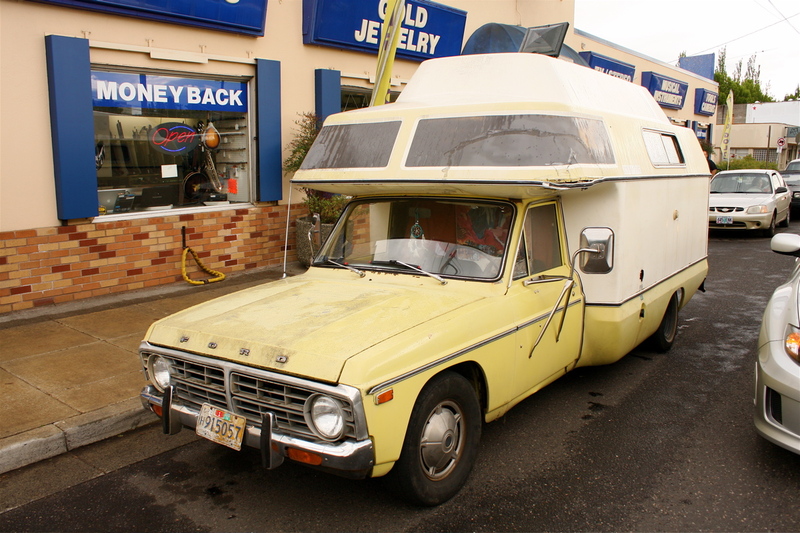 : 1972 Ford Courier Roll-A-Long RV. 1972 Ford Courier Roll-A-Long RV. 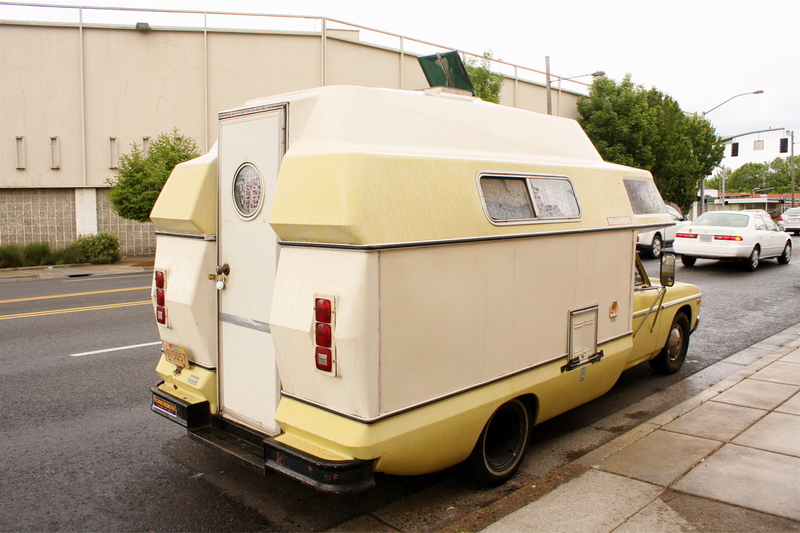 now thats my kinda rv. 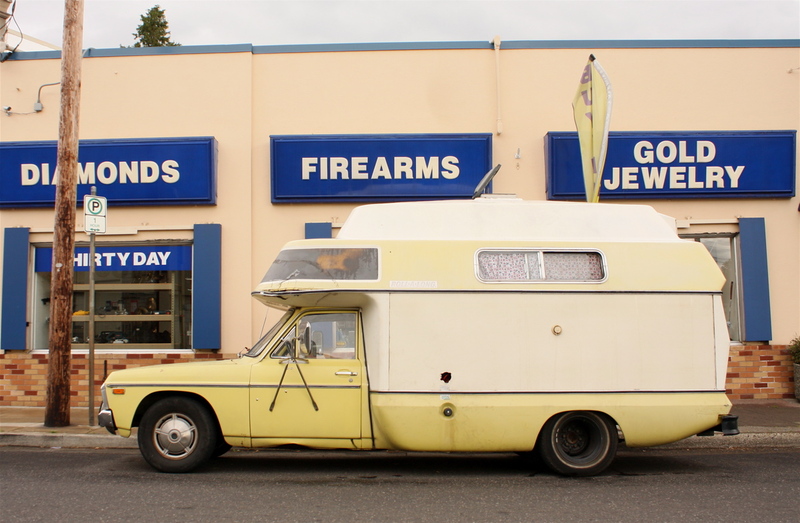 small truck chassis with living quarters. this is one of the best road trip vehicles ever invented imo, not to mention its built on one of the coolest mini pickups of the 70's. best of 2013 nomination for sure. There's drugs in there. Agreed Best of. Roll a long. Roll a wide. Looks easy to roll in any direction except maybe an even, straight line. Would get claustrophobic back in there. The lack of windows is kinda creepy. Whadda find. A total Best Of. Def. a best of 2013 contender. What proportions! I'm bloating... it's perfect... don't touch me... gold jewelry, firearms, diamonds?! This is right? The padlock may be to keep a drunk from mistaking this for a port-o-let. What nexus of the universe has this thing been hiding in all my life? I'm glad someone else already commented on claustrophobia, because I'm feeling that so hard. I'd love to know how many miles this has done. I'm guessing well under 100k. Is that back door the funniest detail? Man, how do you pick one? Wow! First time I've ever seen one of these. My dad owned a currior pick-up, a '72 I think. Wish that he was alive to see this one.